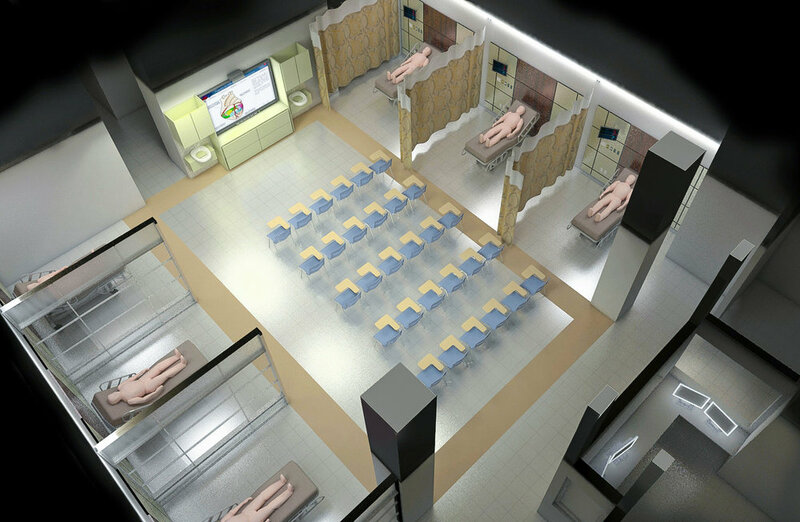 Medical simulation centers are a new type of healthcare education facility that enable physicians, healthcare staff and students to engage in “real world” training and education scenarios without the risk of making real world mistakes. 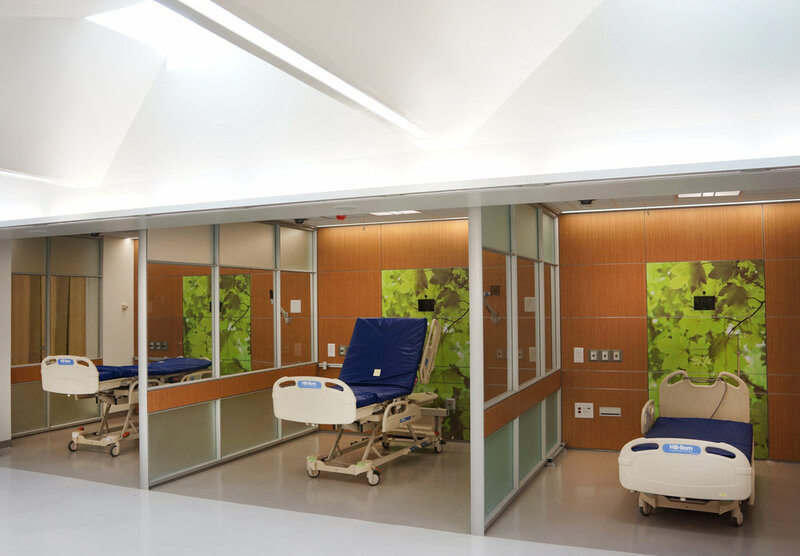 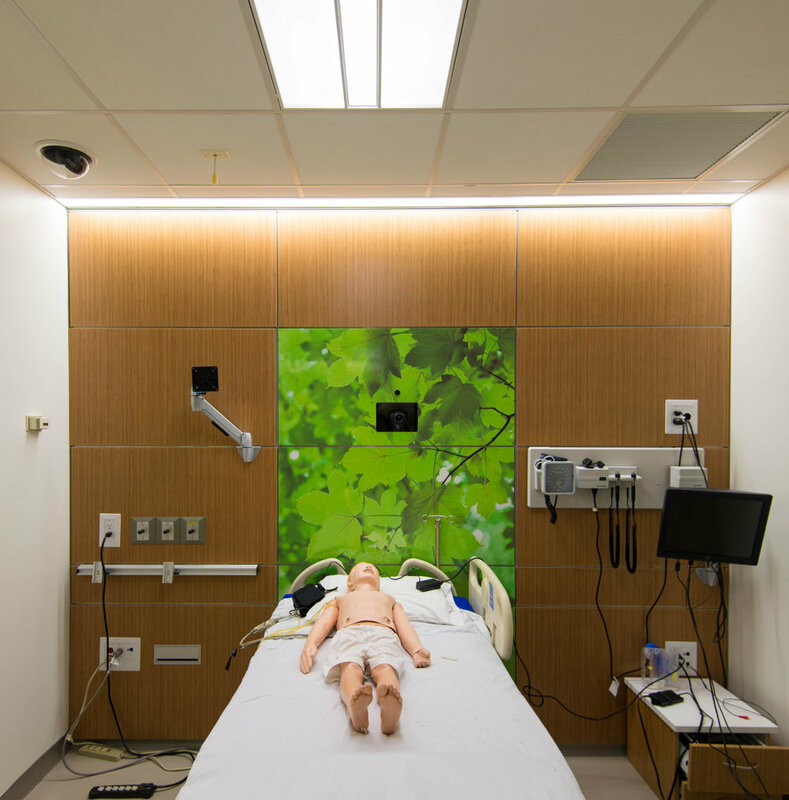 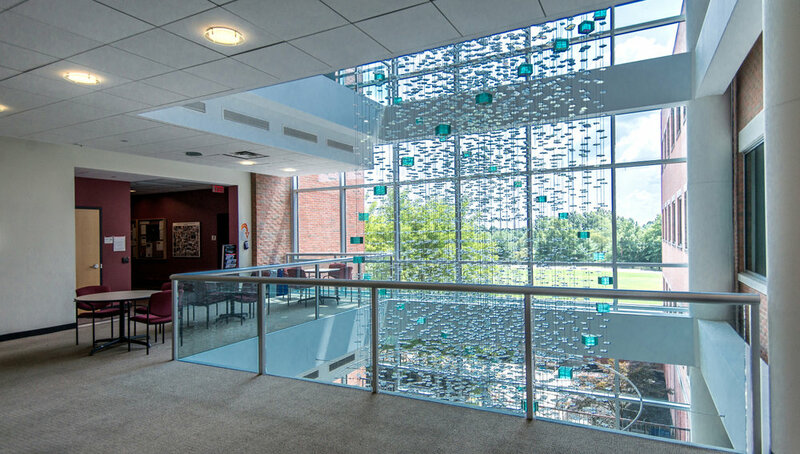 This project, the Learning Resource Center, provides Downstate Medical Center with a state-of-the-art medical simulation center that is the organizing element of both the curriculum and the campus of the College of Nursing. 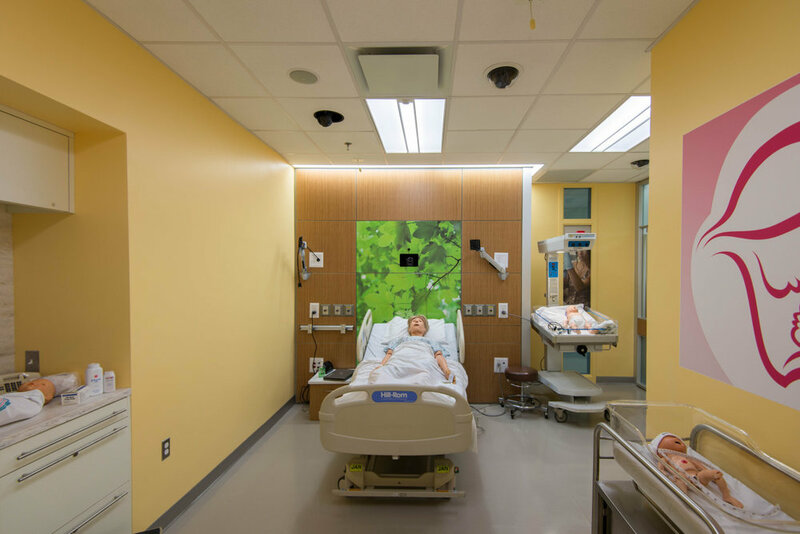 The new Learning Resource Center facility is able to run and record a mix of high and low fidelity simulations of typical Med/Surg Beds, ICU Beds, an Isolation Room and a Labor and Delivery Suite. 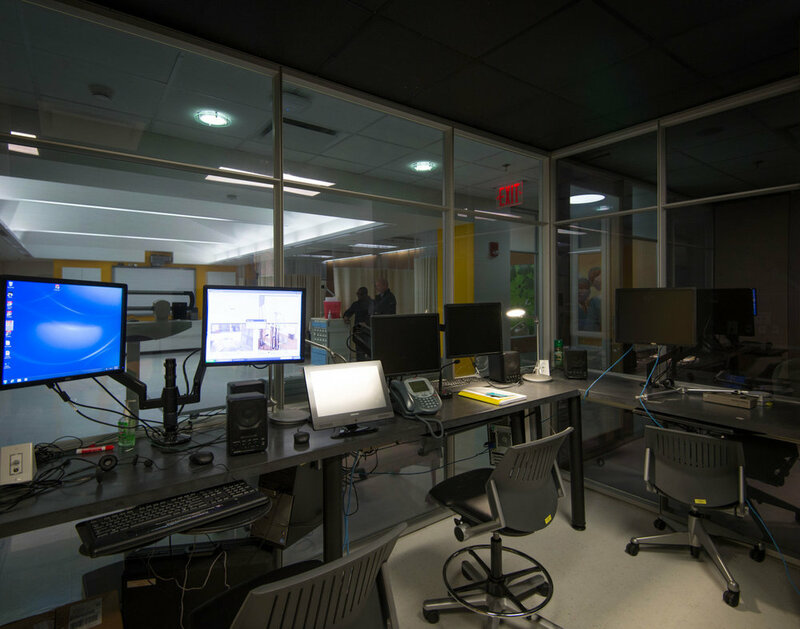 To support this simulation technique, which is the advanced modality in medical education and training, the Learning Resource Center utilizes cutting edge AV/IT technology in conjunction with the latest computerized mannequins operated from a control center. 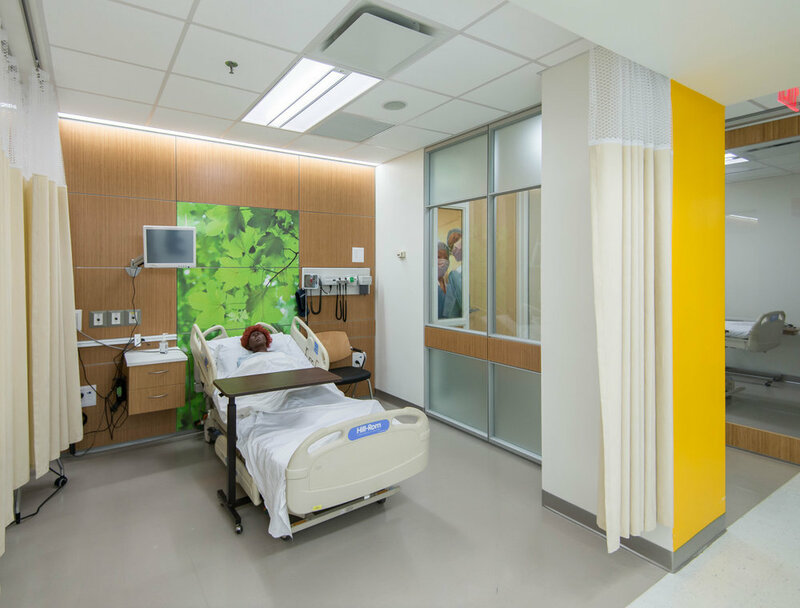 The suite’s central open plan serves as a didactic space with flexible layout options for classroom instruction and hands-on training at mobile tables. 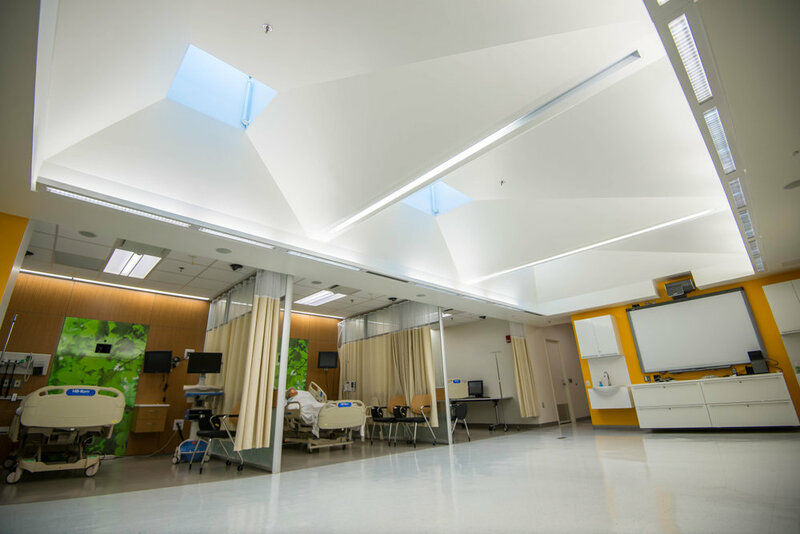 A series of carefully baffled new skylights infuses this previously windowless space with diffused, glare-free natural light.